An invitation for everyone who has ever taken training with us at Peace of the Circle. Offering opportunities to continue your learning and gain experience facilitating in a warm, supportive environment. Participants volunteer to facilitate/co-facilitate and topics are selected based on interests of the group. If desired, mentoring provided by Dr Evelyn Zellerer. 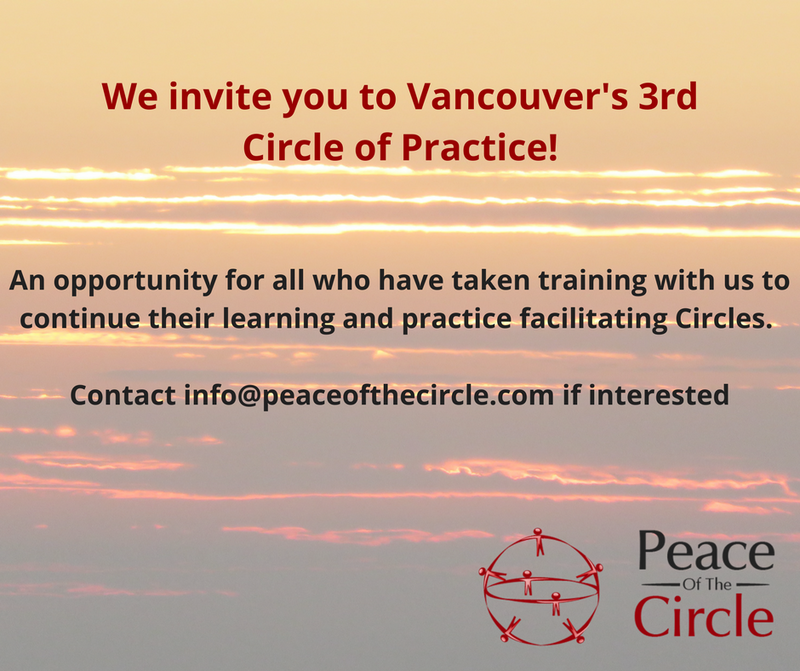 Next Circle of Practice is in Vancouver, Canada.